Candy canes are cool but mint is so last century. 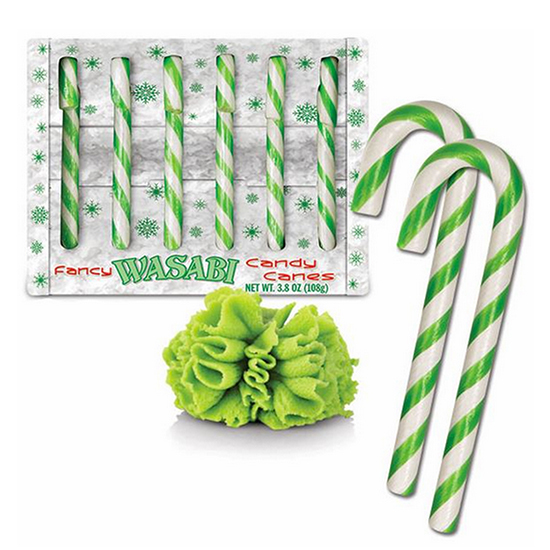 This year, update your candy cane game with these insane flavors. These sweet and yet intriguingly meaty candies are perfect for the pork-obsessed person in your life. The best way to get your briny, dill-flavored fix this holiday. If you’re one of the many Sriracha addicts who believe that everything is better with the vibrant red chili sauce, then these spicy candy canes are right up your fiery hot alley. Finally, a way to get more gravy in your life—no fancy gravy boats required. The flavor of a giant, gooey, frosted Cinnabon packed into an easy-to-eat candy cane. Every lick will transport you to a mall food court. Clear out your sinuses with these spicy wasabi candy. Remember, Christmas is Jesus’s birthday. So celebrate with a birthday cake-flavored treat.